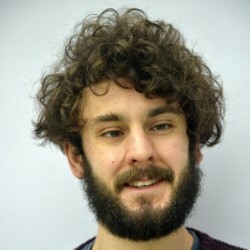 An hour of comedy and truth from English Comedian of the Year winner Josh Pugh. 'Wonderfully off-kilter' (List). In this brand-new show, Josh dispels any rumours that you may have read online (genuinely didn't know he was a police officer) and talks about his dreams for the future. A show about first impressions and how things aren’t always as they seem. 'Flashes of genius' (Blog.Ticketmaster.co.uk). 'An almost certain future star' (Chortle.co.uk). 'Pugh proves that semi-surrealism is alive and well' (List). **** (EdFestMag.com).